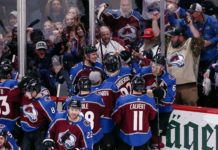 Though their hopes of making the playoffs have fizzled away (just as their play did down the stretch) this season, there is still drama in the Mile High City in regards to the Colorado Avalanche. 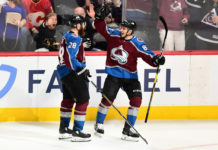 Earlier this week, Avalanche head coach Patrick Roy called out star forward Matt Duchene after the center celebrated his 30th goal of the season despite losing handedly to the St. Louis Blues. 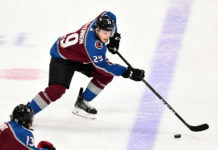 Both have since stated that the air has been cleared between them, but that doesn’t necessarily mean all is well between Duchene and the club. As soon as the incident popped up in newsfeeds, so did trade rumors. Well … it doesn’t hurt to think about moving a player. In fact, if somebody called about any player on the roster with a legitimate offer, I’m sure general manager Joe Sakic would at least consider it. But the rumor certainly begs the question: SHOULD the Colorado Avalanche trade Duchene? Look, I get the rumors. I even understand the need to shake things up after failing to live up to expectations this season. Duchene is an attractive candidate to be moved, as many a team would be interested and the return could be high. It may even land the Avalanche the top-tier, defensively responsible blueliner they so desperately need. The team already has a very similar player to Duchene in many ways stylistically in the form of Nathan MacKinnon. That being said, for the love of God, don’t do it Sakic! With 59 points in 75 games, Duchene is not just the Avalanche’s leading scorer this season; he is also the team’s most consistent. Momentum affects all teams, and perhaps the Avs more than most, but Duchene shows up seemingly every night. In fact, during the team’s current four-game losing streak, Duchene has three points. Not only is Duchene the team’s offensively leader, he is also their best faceoff man. He wins 58.3 of the draws he takes, which is good enough for third in the NHL. The importance of this single statistic cannot be stated enough, as the Avalanche are a terrible possession team (only the Buffalo Sabres are worse). Having the puck after the majority of the faceoffs you take goes a long way towards fixing those fancy stats. Duchene also has the versatility to play off-side wing (in his case, right wing). Knowing that he can be successful at multiple positions gives the team options when constructing their top-six. Duchene also typifies the Avalanche way. He is blazingly fast and a tremendously exciting player to watch. He was the team’s lone representative at this season’s All-Star game and also on Team Canada’s gold medal-winning squad at the 2014 Winter Olympics. You would be hard-pressed to find a better representative, or someone who has done more to promote the “Avalanche way” to the hockey community at large in recent years. This brings me to my final point, which might be my most important. Duchene BLEEDS burgundy and blue. All of the players on the roster are happy to be in the NHL, Duchene is, and always has been, ecstatic to be an Avalanche. It’s why he has taken a hometown discount on each of his last two contracts. The Avalanche simply will not be able to replace his production at such an affordable price ($6 million is affordable for Duchene). Furthermore, if you see him out on the town, he will often be sporting an (usually camouflage) Avalanche hat. He loves the fans, he loves the city, he loves the state, he loves the team and he always has. The NHL is a business and no one is safe (Wayne Gretzky has been traded more than once). That being said, such passionate loyalty has to count for something. With that, and all of the other points I have made, taken into consideration, I feel that it would behoove the Avalanche to hang onto Duchene. In fact, I would rather see them move anyone (including Gabriel Landeskog and MacKinnon) before they trade Duchene. 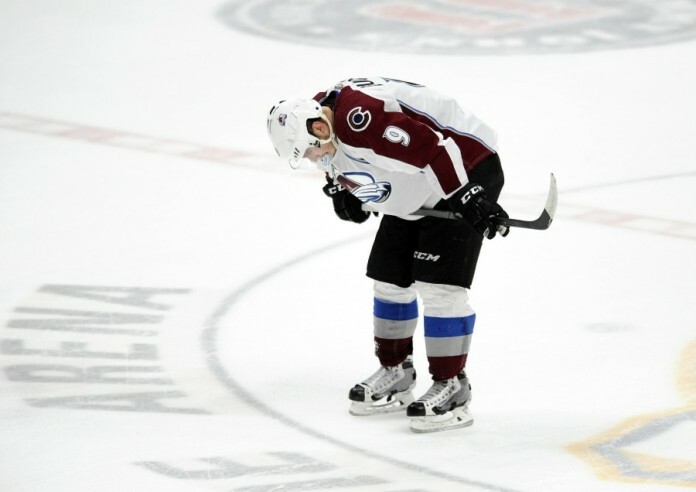 Changes should and likely will be made this offseason, but if the Avalanche are smart, expect Duchene to be back on the Pepsi Center ice come next season.